Alright, you probably know that I love sleep. I am that crazy twenty-something who needs to be asleep by 10 p.m. and no, I’m not joking. I need my sleep. Sleep is so important. This is the time that your body needs and it is also when your brain processes all the information you took in that day. I was listening to a podcast the other day… I don’t even remember which one it was, but it was one from The Skinny Confidential: Him and Her. The guest on that podcast mentioned that ideally, we should be in bed and asleep before 10 p.m. because of how our hormones are regulated. This was music to my ears! An excuse to be asleep earlier… yay! I love going to bed early and waking up early. To help myself fall asleep faster, there are a few things that I do. First, I simply get into bed earlier. My whole night routine is done by 8:30 p.m. every night. Around 7:45 p.m., I’ll floss, brush my teeth, and fill up my water bottle before going to my room and getting into bed. Once I’m in bed, I’ll sometimes light a candle and then do my devotions, check my phone one last time, and read one chapter in a book. I’m currently reading Bobby Bones’ new book, Fail Until You Don’t: Fight, Grind, Repeat. I also have my phone set to automatically go to “Do Not Disturb” mode at 9 p.m., which is SO helpful. I try not to touch my phone after 9 p.m. I do have a TV in my room, so I know that you really shouldn’t do this, but I will watch a little TV. When 9:30 p.m. hits, this is when I really make sure my body knows that it is time to get some rest. I’ll say, “Alexa, good night,” which tells my Amazon Echo Dot know that it’s time to play the Good Night Jazz playlist on Spotify for 15 minutes to help me sleep. Alexa routines are pretty cool! 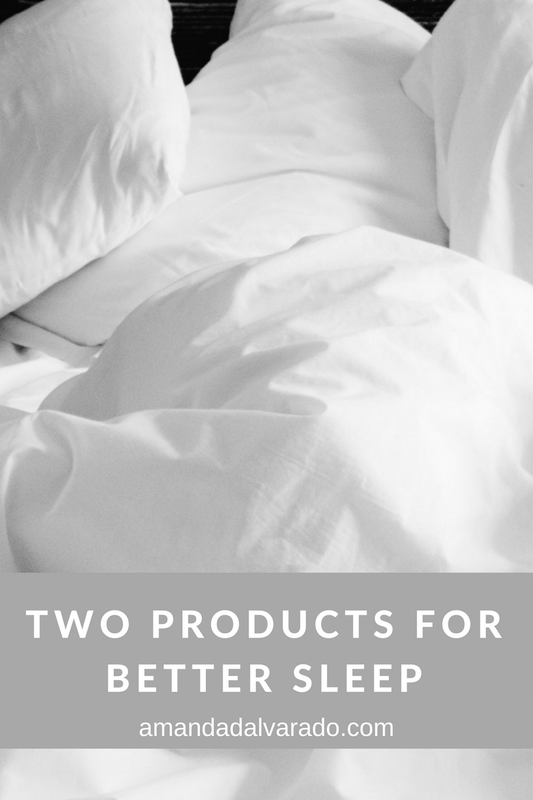 Now, I have two products that really help when it comes to getting a good night’s rest. The first… a silk pillowcase. Once you get a silk pillowcase, you won’t go back to whatever pillowcase you were using before. Silk is great for your hair and skin (it helps prevents wrinkles!). Also, I love how a silk pillowcase seems to always stay cool, because let me tell you - I just cannot sleep when it’s hot! I also love my sleep mask. Yes, I sleep with a sleep mask. What's so great about this one is that it is raised where your eyes are so it really blocks out all the light and I sleep much better. It might look a little funny, but I love it! 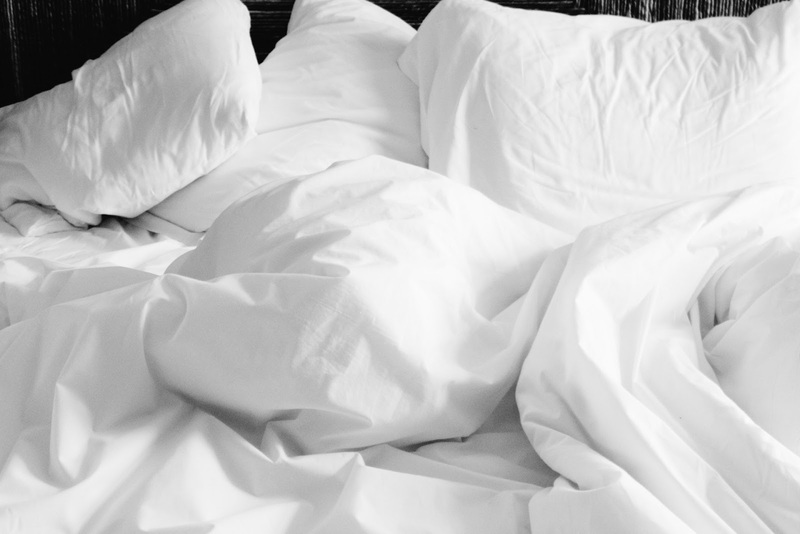 What other products make sleep so much better for you? This isn't the first time I've heard praises for silk pillowcases. Hahaha! I definitely need to get my hands on some stat! Yes! Total game changer! Mine was only $20 on Amazon!